More than 7,000 hospital support staff including 1,000 chefs will ballot for strike action next month in a dispute over pay. 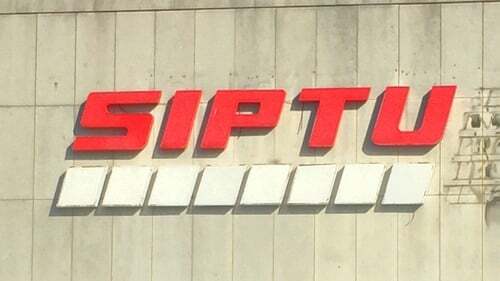 The staff belonging to SIPTU accuse the Government of frustrating a job evaluation process, which had found that members had been underpaid for some years. Those members include Health Care Assistants, Maternity Care Assistants, Laboratory Aides and Surgical Instrument Technicians. The dispute centres on a Support Staff Job Evaluation scheme agreed in 2015 under the Lansdowne Road Agreement to assess the roles of the grades in question and establish whether pay rises were warranted. SIPTU Health Division Organiser Paul Bell said that process had "categorically" confirmed that members had been underpaid for many years - and should have been entitled to pay increases of between 5% and 7% from September/October 2018. He said it was disappointing and regrettable that the Government had refused to engage on the Job Evaluation findings, and had frustrated the job evaluation scheme which it had freely entered into under the Lansdowne Road Agreement. Mr Bell said that under the terms of both the Public Service Stability Agreement and the Support Staff Job Evaluation procedure, pay upgrades should have been applied within eight weeks - but the HSE and the Department of Public Expenditure and Reform had "sidestepped" their obligations. He noted that approximately 1,000 chefs employed in the HSE and related agencies will also be balloted for strike action. Mr Bell said those members felt badly let down because management had failed to implement the recommended increases, which would have had a "small" cost to the health service, but were hugely significant for members. He also noted that at present, it is difficult to hire and retain chefs in the current jobs market. The HSE said it was surprised by the timing of the SIPTU decision to ballot for strike action next month. It noted that it is due to meet SIPTU representatives and other stakeholders next Thursday, 4 April, for talks on the Job Evaluation processes - and that those talks had been "amicably" agreed as recently as Tuesday of this week. The HSE said all grievances would be on the agenda for discussion and consideration. It said that in light of those scheduled discussions, today's SIPTU statement was premature, unnecessary and inconsistent with existing agreements regarding engagement with the health sector. It said it looked forward to engaging further on the matter next Thursday as planned. Asked how much any pay rises under the support staff Job Evaluation process might cost, the HSE said that would depend on when they were applied as part of an implementation plan, and that would be a matter for further discussion. The Department of Health has said it is aware of the issues being raised. In a statement, the Dept said it was working with health sector management to engage with SIPTU "in relation to the phased implementation of the Job Evaluation Scheme for support staff grades in the health sector." Separately, the Irish Nurses and Midwives Organisation and SIPTU are awaiting a Labour Court recommendation on a new contract for nurses and midwives aimed at resolving the dispute over pay and staff shortages which saw three days of strike action last month. The INMO has not ruled out further strike action. The Psychiatric Nurses Association is pursuing its pay demands through a separate process.